That day is coming soon…..the dreaded “M” word…..Moving Day. What are you going to do with all that stuff? Will it fit in to your little house back home? Many people move out to Dubai just with a few belongings and after no time have bought half of Ikea and Pottery Barn to fill their over-sized villas. But come moving day, you need to seriously think about what you are going to take with you on your next move, do you have enough space in your new home or will it be just sitting in your garage. 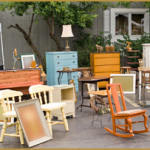 Think about selling some of your unwanted furniture here in Dubai before your leave. 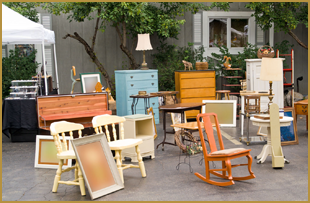 There is a very vibrant second hand market going on in Dubai through social media. Many communities have set up Facebook pages eg Arabian Ranches Souq, Victory Heights Market Place which are aimed at residents living in those communities. Nationalities such as ‘British Mums Dubai’ have a very active page. Other sites include Buy it, Sell it, Swap it, Pre-Loved Dubai and Second-Hand Dubai. These Facebook groups are easy to join and once you are accepted on to the group you can start posting your items you wish to sell and corresponding with the buyers. Entice your children with the chance of making some money by getting them to look through their stuff for items to sell – that shelf which nothing was to be thrown out from soon empties! These sites are good as you get genuine buyers opposed to traders who say they are interested but once past your doorstep start haggling and often were not even interested in the chest of drawers but want your car! Items which move well are white goods, children’s furniture, storage items, garden furniture and one of the fastest moving items…pot plants. Moving is a big expense especially for expats who do not get this included in their package so instead of throwing out your unwanted pot plants and children’s rubbish why not make a few dirhams to help pay for the move by getting active on social media!